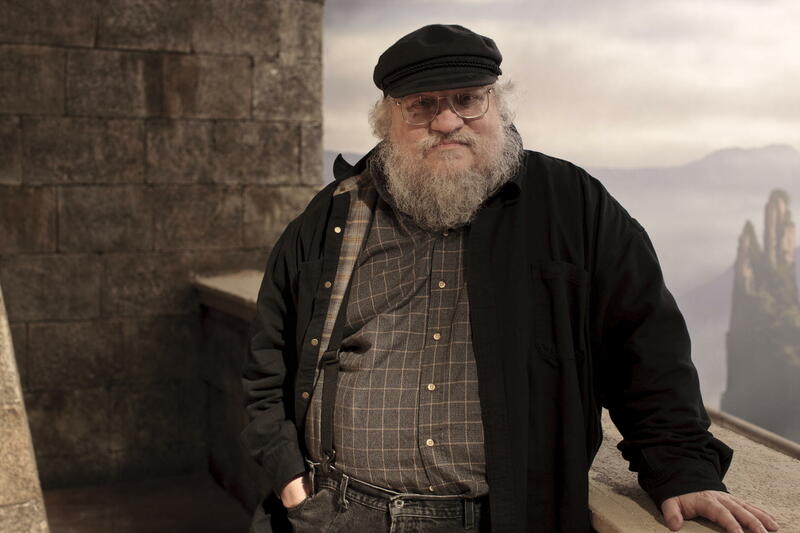 "Winter" is a word that holds a lot of meaning to me. 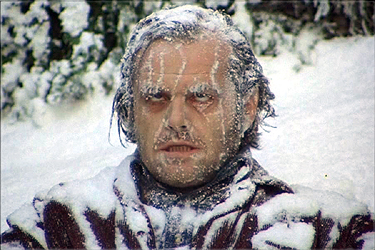 Living in Chicago, I associate it with feet of snow, driving winds, sub-zero temperatures, whiskey for warmth, and the resilience needed to go outside while it's still dark and wait for a bus, hoping it gets there before you freeze to death like Jack Nicholson in The Shining. Sir, are you getting on? Sir? ...Sir? Winter in Chicago is tough; when you survive your commute, there's an innate reaction to feel tougher than those wimps who live in temperate or warm climates. Trudging through snow bent over from the wind makes you appreciate that warm weather! Drinking whiskey huddled next to your radiator makes those cold beers on summer nights taste better, dammit! So when English black metallers Fen - they of "Bereft" awesomeness, titled their new album Winter, well, there was some instant emotional reaction on my part, before I'd heard a single note. But, like I just said, "Bereft " - and most of The Malediction Fields, the album it's from - was awesome. And even though I've lost track of the band since, the title and memory of "Bereft" were enough to get me on board to check this one out. The first thing I realized about Winter is that it would definitely line up with my Chicago winter experiences, because it is long. Like just shy of eighty minutes long, stretched across six tracks. I have no qualm with long songs or albums, but for some reason, seeing that "6 songs, 1 hour, 16 minutes" under the album art in iTunes made me pause and say "Whoa" before pressing play. "I (Pathway)" kicks things off, and is the longest tune on the record; an I-esque seventeen minutes long. "I (Pathway)" is a pretty solid representation of atmospheric black metal as a whole; there are blast beats, melodies, roaring vocals, soaring vocals, passages of rapid-fire intensity, and passages of quiet, ethereal contemplation. Fen moves adroitly through all of these, showcasing their skill as musicians and vocalists, and yet for all the skill, "I (Pathway)" still feels like the outlier on the album - a prologue, if you will. It's easily my least favorite song on the album, but it's a good gauge of what you're in for in the remaining five tracks. "II (Penance)" immediately ups the ante, opening with a rolling bass line underneath dancing guitars and a tight, lively drum pattern. When the black metal part kicks in, the bass moves to a dizzying swirl underneath the driving guitars, giving the song an urgency that is nearly palpable. Similarly, "III (Fear)" opens up with a prominent bass riff, along with the sort of doomy atmospherics that you either love or hate in your black metal, sucking you in to the song and engrossing you in the mood. Slowly, the song builds toward a heavier place, but it takes its time, nicely layering and speeding up the guitars and drums until suddenly you're in what could easily be a completely different song, if it weren't for that hint of the earlier bass line underneat. While all of the songs on Winter are a little longer than they need to be, Fen does an incredible job at making each song feel like it's own organic composition, growing and evolving naturally. There's a tendency in some bands to just slap pieces together with little cohesion, to make three four minute songs one twelve minute song for whatever reason; when this happens, it shows obviously. Even if not all of the songs on Winter need to be ten minutes or more, that doesn't take away from how clearly talented the gents in Fen are at writing coherent and well thought out songs. All together now... "editing is NOT a dirty word..."
"IV (Internment)" follows the same pattern as "II" and "III;" chiefly a melodic and engrossing first few minutes that gives way to a solidly written if slightly repetitive back half, but it does lead in to "V (Death)," Winter's best track. Unlike the rest of the album, "V (Death)" is a continually building track, both in intensity and interest; it doesn't put its most exciting ideas out first, instead making the listener wait. The result is a guitar-driven bridge that sounds like nothing else on the entire album, as well as an atmospheric coda that feels earned, instead of tacked on. "VI (Sight)" is a shimmery, ethereal track for the first half, before building back up to a big, heavy finish somewhat unnecessarily. Listening to "V (Death)" into "VI (Sight)" reminds me a lot of listening to the final two tracks from The Great Old Ones' stellar EOD: A Tale of Dark Legacy's final two tracks, "Mare Infinitum" and "My Love for the Stars (Cthulu Fhtagn)." In each case, the best song on the album is followed by a quieter song that ratchets up the intensity at the end, but where The Great Old Ones brought a different type of intensity to the end of "My Love...," the back half of "VI" could have been placed anywhere in Winter. It isn't a bad song, but it's undermined by its back half. 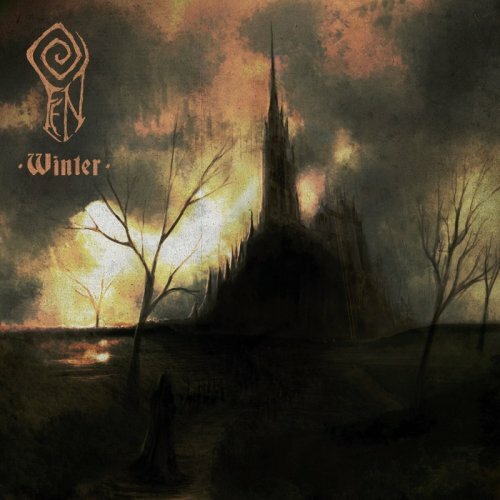 Winter is not a bad album; it's actually a pretty good one, an atmospheric black metal band that takes its time and is incredibly well-written. I seriously can't stress enough how well put together the songs are, and how Winter is a tremendous example of long-form songwriting. That said, it's hard to listen to the album all the way through without thinking that just because the songs are impeccably well-written, that doesn't mean there isn't room for some editing. Winter would be an absolute phenomenal album if it were pared down a bit; cutting "I (Pathway)" goes a long way toward that, but each of the remaining songs could use a little work as well. As it stands, Winter truly is like the black metal version of a Chicago winter: You get through it by enjoying the parts you can, and knowing the other seasons will be here sooner than you know.